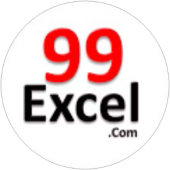 This booklet is the companion document to the Excel 2013: PivotTables and Pivot Charts workshop. The booklet will explain PivotTables and Pivot Charts, how to create them, and how to use them to quickly analyze large quantities of data. 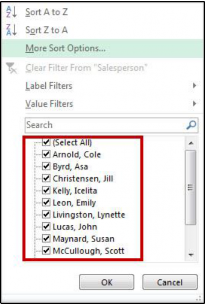 PivotTables are a powerful tool in Excel that will allow you to quickly summarize, sort, filter, and analyze data. 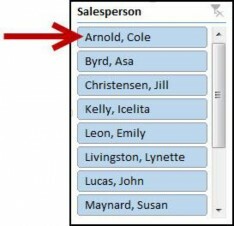 They can handle large amounts of data in lists and tables by organizing data, on the fly, by different rows and columns. This is faster, and more flexible for analyzing your data, as you don’t need to rely on formulas. For example, you could have a spreadsheet that contains information on salespeople, products sold, regions, items sold, etc. Using a PivotTable, you can quickly organize the data so different relationships are visible (e.g. Who is the top salesperson? What product has sold the most?) (See Figure 1). Note: When working with PivotTables, the data should contain your titles in a single row, and the table should not contain any empty cells. In the Ribbon, click on the Insert tab (See Figure 2). 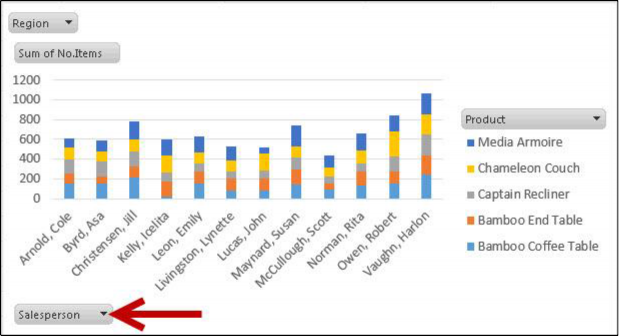 Under the Tables grouping, click on PivotTables (See Figure 3). The Create PivotTable window will appear. 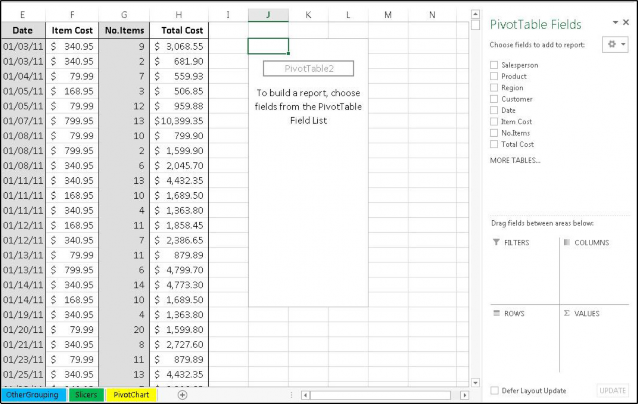 Excel will automatically select the data it thinks you want to use to create your PivotTable (See Figure 4). Note: To select a different range from what Excel has suggested, click on the cell selection box ( ) and use the mouse to select a new range. 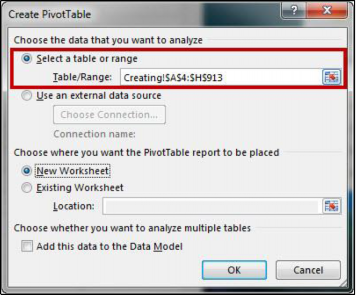 The PivotTable will be created in a new worksheet (See Figure 6). The PivotTable Fields will appear on the right of the screen (See Figure 7). 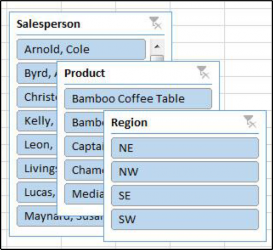 After creating your PivotTable, the PivotTable Fields list will display the data ranges that you selected, and four areas that will make up your PivotTable (Filters, Columns, Rows, and Values). You can quickly move fields in and out of these areas to view your data in different ways. For example, we want to use the PivotTable to analyze the data and determine how many sales a salesperson has made of each product. 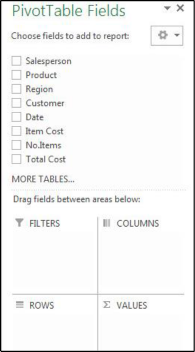 Drag-and-drop your fields into the filter, column, rows, and values boxes (See Figure 8). Filters area fields are shown as top-level report filters above the PivotTable (See Figure 8). 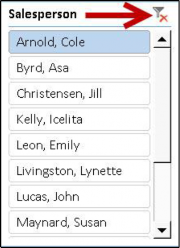 Columns area fields are shown as Column Labels at the top of the PivotTable (See Figure 8). Rows area fields are shown as Row Labels on the left side of the PivotTable (See Figure 8). Values area fields are shown as summarized numeric values in the PivotTable (See Figure 8). 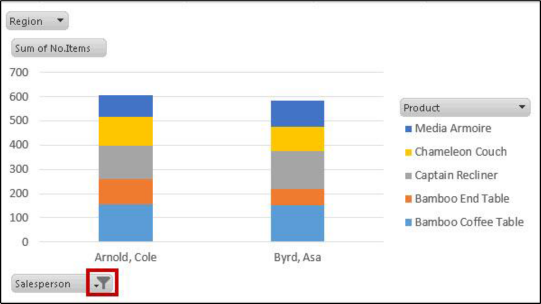 The PivotTable will change to show the fields in their respective locations, showing total sales for each sales person by product (See Figure 9). Next to a Field Header, click the dropdown arrow (See Figure 10). A Dropdown menu will appear with values for the field listed below (See Figure 11). 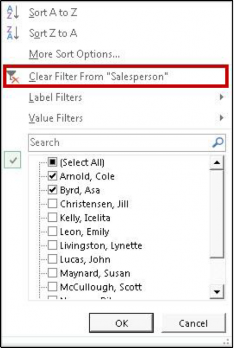 Click the checkboxes to select/deselect values that you want to filter for. Click on OK to apply your filter. A filter icon will appear next to the dropdown arrow to indicate a filter has been applied to the field (See Figure 12). To remove the filter, click on the dropdown arrow. The dropdown menu will appear. Click on Clear Filter From to remove the filter (See Figure 13). 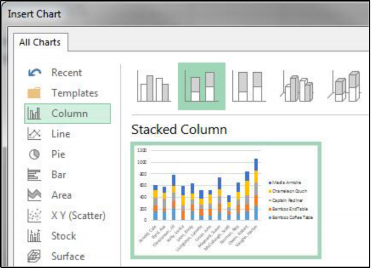 Similar to PivotTables, PivotCharts can be used to quickly summarize, sort, filter, and analyze large amounts of data, and display that data as a visual representation. After creating your PivotTable, you can create a PivotChart using a variety of available charts (e.g. Pie, Line, Bar) that uses the same field settings. In the Ribbon, click on the Insert tab (See Figure 14). Under the Charts grouping, click on PivotChart (See Figure 15). The Insert Chart window will appear. Select a chart from the options presented (See Figure 16). The PivotChart will be placed into your worksheet (See Figure 17). The PivotChart Fields will appear on the right of the screen (See Figure 18). Note: You can alter the information that is displayed the same way as with PivotTables. 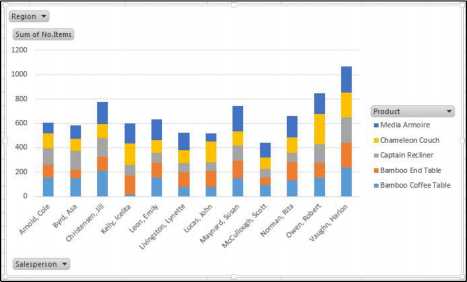 See Analyzing Data with PivotTables for more information. Next to a Field Header, click the dropdown arrow (See Figure 19). A Dropdown menu will appear with values for the field listed below (See Figure 20). A filter icon will appear next to the dropdown arrow to indicate a filter has been applied to the field (See Figure 21). The dropdown menu will appear. Click on Clear Filter From to remove the filter (See Figure 22). Slicers can provide greater control over your PivotTable or PivotChart when you are analyzing your data. Slicers work similar to filtering your information, but allows you to insert tables that you can use to quickly select values to filter/unfilter. They will show what is currently shown/not shown at a glance. Slicers can also be adjusted to change their size and color to make them more presentable. Click within your PivotTable to select it. In the Ribbon, click on the Insert tab (See Figure 23). Under the Filters grouping, click on Slicer (See Figure 24). The Insert Slicers window will appear with a list of your available fields (See Figure 25). Click the checkboxes next to the fields you want to create slicers for. The slicers will be inserted into your spreadsheet (See Figure 26). Click and drag the slicers to reposition them as necessary. To apply a filter from one of the slicers, click on one of the values (See Figure 27). Note: To select multiple values, hold down the shift key while clicking your values. To remove values from your slicer, click the Clear Filter icon in the upper-right corner of the slicer (See Figure 28). 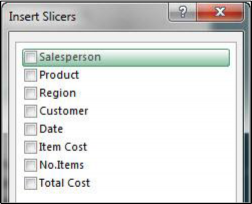 In the Ribbon, click on the Slicer Tools – Options tab (See Figure 29). Additional Slicer tools will be displayed. From here you can alter the slicer captions, styles, and button and window size (See Figure 30).